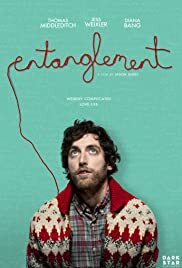 ENTANGLEMENT plays on the subject of Quantum Entanglement, which is the reason the film subject, Ben Layten’s (Thomas Middleditch) has fallen apart – mentally. Quantum entanglement (as in Physics) is described as the physical phenomenon that occurs when pairs or groups of particles are generated or interact in ways such that the quantum state of each particle cannot be described independently of the others, even when the particles are separated by a large distance. The pair in this case is Ben and his almost adopted sister, Hanna Weathers (Jess Weixler). Ben’s parents were ready to adopt Hanna as a baby. Hanna arrived the very same day Ben’s mother discovered she was pregnant with ben and therefore unable to adopt. Ben concluded that his life would have been different and therefore meeting her now would have resulted in a correction in the path of his life. As far as theories go, this is both an interesting and credible one. Feeling that this is the key to his happiness, Ben sets out to find her only to learn that it is the woman he met earlier named Hanna Weathers. Through constant visitations with her, Ben falls in love with her and learns that life and love is far more complicated than he thought. It is difficult to root for a loser like Ben. Ben is not only a recent divorcee, but leads a miserable, jobless life. He has made a few unsuccessful suicide attempts, though a good thing coming from this is his befriending of his sarcastic, yet helpful neighbour Tabby Song (Diana Bang). 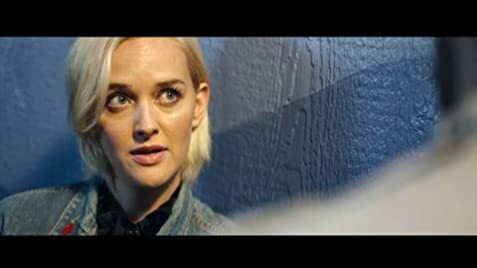 Writer/director Jason James pulls a few surprises in his plot. To see Ben slowly emerging victorious from the doldrums, though is uplifting for the audience. The problem with ENTANGLEMENT is that the film is just not serious or funny enough (Ben trying to electrocute himself in the bath but forgetting to plug it in; slitting his wrists but then having to answer the door bell) in the material’s treatment. Ben’s unsuccessful suicide attempts cold have been funnier or insightful. The decision to make Hanna totally a character that conforms to Ben’s wishes and then have Ben snap out of his problems is a bitt of a cop-out. ENTANGLEMENT does contain a few good scenes like the confrontation segments where Ben’s mother angrily tells Ben that he has no right to turn out the way he did. The confrontation segment between Ben and Tabby seems to go along too similar lines. From the cast of relative unknown actors, Marilyn Norry does best as Ben’s conflicted mother. Thomas Middleditch, the lead isn’t bad either, his look and stature resembling the nature of his character. Running only at 82 minutes, Jason James’ debut feature is not without its charms. ENTANGLEMENT could have turned out as the best feel-good movie of the year if done right. Life could be seen as a whole lot of surprises and good events instead of the negatives. James’ film instead plods along towards a boring finish.